The Buddhist Goddess and Bodhisattva of Compassion, Kuan Yin, started out male in India and later was recognized as female in China. She has evolved and transformed as she’s traveled throughout Asia and into the Western World. 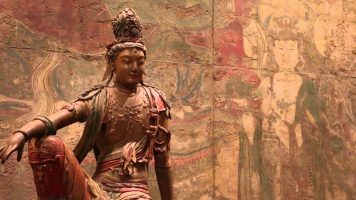 What might we learn from this figure of divinity from the eastern traditions? The Rev. Dr. Carol Hepokoski is a retired UU minister and professor on her way back to her home in Minnesota after a winter in California. AIDS Foundation is the recipient of the April 2019 offering. Click here and select Special Offering.